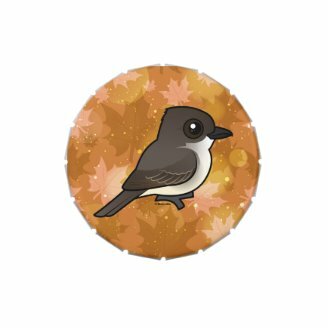 Today our Birdorable Bonanza: 2015 Advent Edition continues with a New World species of tyrant flycatcher: the Eastern Phoebe! 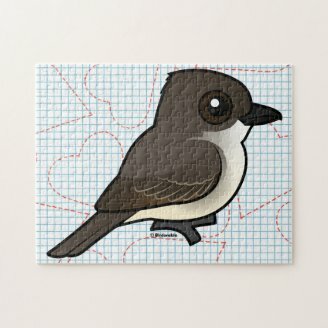 Eastern Phoebes are tyrant flycatchers that are found in eastern North America. These cuties are migratory, breeding as far north as the Northern Territories of Canada and spending the winter as far south as Central America. 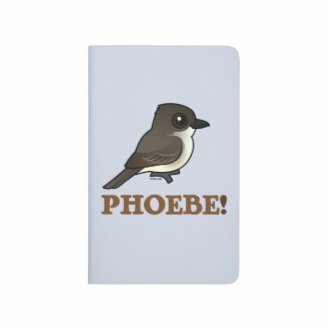 Eastern Phoebes are one of three species of phoebe. 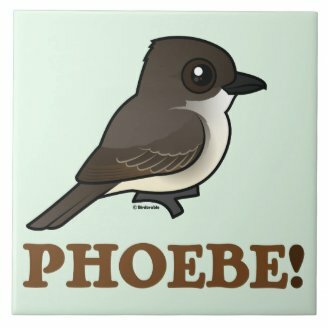 The Black Phoebe and Say's Phoebe are also New World birds, though their ranges are further to the west. 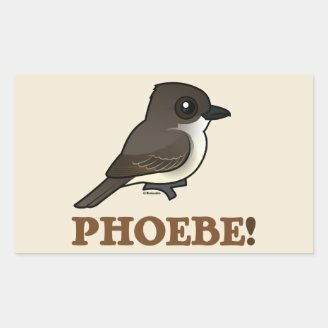 Phoebes are named for their song, which sounds like "fee-bee". 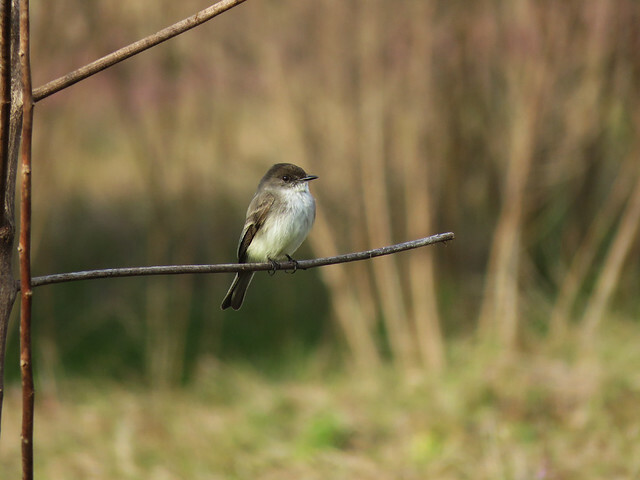 The Eastern Phoebe has a place in ornithological history: it was the first North American species to be "banded" for science. 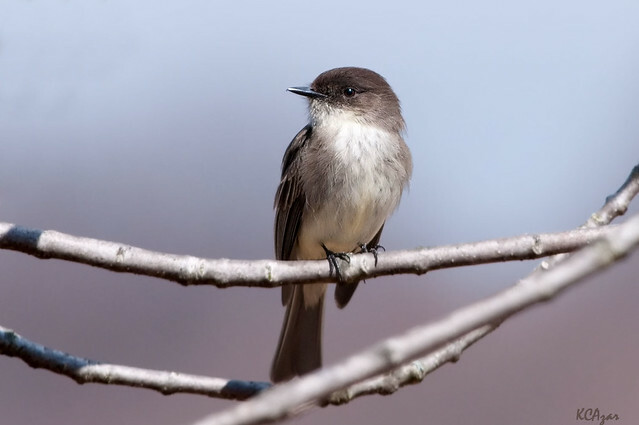 In 1803 John James Audubon himself placed silver thread around the legs of young Eastern Phoebes, which he knew at Pewee Flycatchers at the time, at his Pennsylvania home. He hoped to track the future movements of the birds. The following season he was able to capture two returning birds that still wore the silver thread. 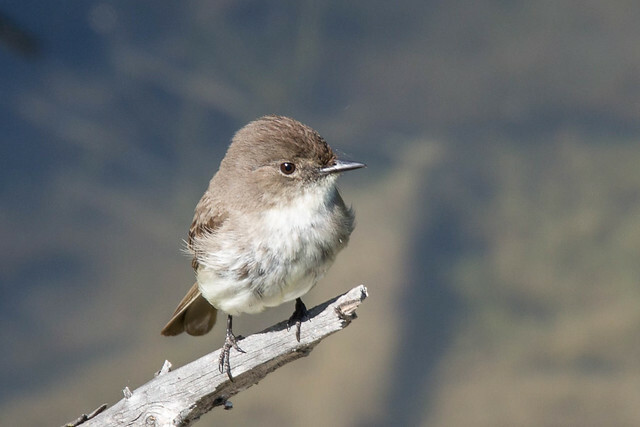 The Eastern Phoebe is our 625th Birdorable bird. 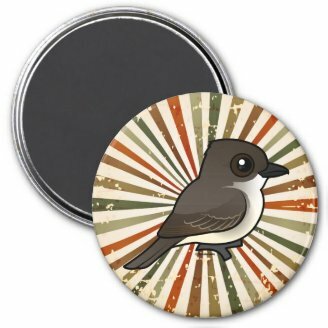 Be sure to check out our collection of apparel and gifts featuring the Birdorable Eastern Phoebe! Our Bonanza continues tomorrow with a North American woodpecker with two distinct subspecies best identified by their undersides. Can you guess tomorrow's species? 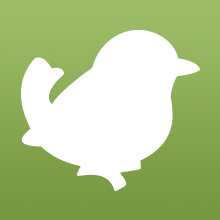 3 comments on "2015 Bonanza Bird #9: Eastern Phoebe"
Ok.... I didn't know that... At least it had "Eastern" in its name... i guess? red bellied woodpecker or northern flicker? what's a golden breasted starling?